I had a little Teaparty with Plü, Si and Pi last Sunday. Due to the fact that we stayed indoor and just wanted to take a few pictures as remembrance, they didn't turn out that good. The light was off and the location horrible, but it was a day to remember :)! 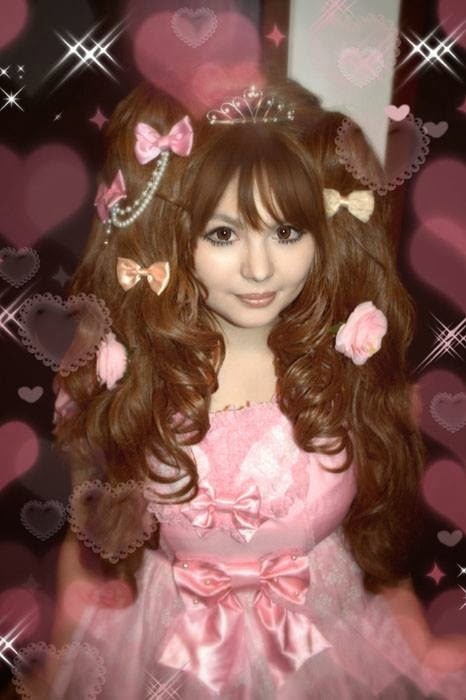 Pretty Plü aka Princess Panda in himegyaru was so wonderful. I envy her eyes because they turned out so large! *__* I just hate my bangs. They ruin everything ;_;! On Saturday...I do not write my entries chronologically...I went with Simon to the first district in Vienna and wanted to go to Haas&Haas but the teashop was so full already. What a shame. But we found a cute little coffeeshop, full of kitsch, and drank our tea there. As in my case that was a hot chocolate! I once had a food allergy test and they said, I couldn't drink milk or eat anything that has milk in it at all. I always had tummy ache after consuming milk but I did anyway and now I am fine again. You just have to be hard headed XD! 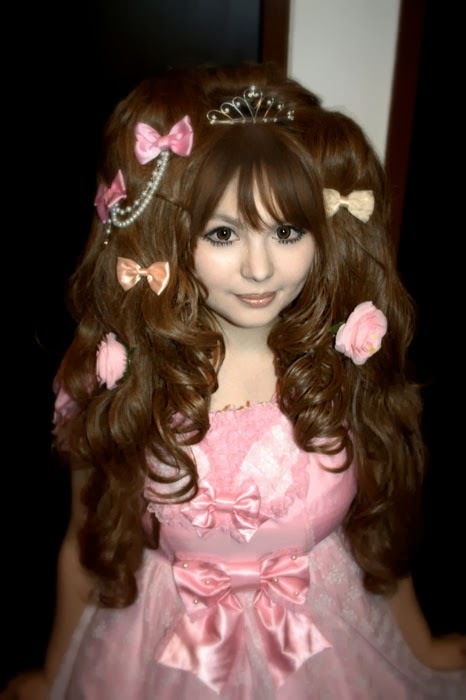 And that was my outfit from Saturday...I called it, the Russian Princess Szventlanka...or Snow princess XD! It's white and it is fluffy!!! And not, that's not real fur.